Environmentally friendly, mini notebook made from recycled materials, with • approx. 80 sheets • cream lined paper • cardboard cover. 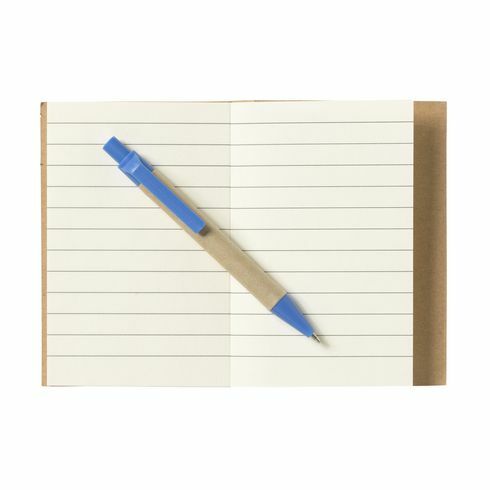 Includes matching blue ink ballpoint pen with cardboard holder.